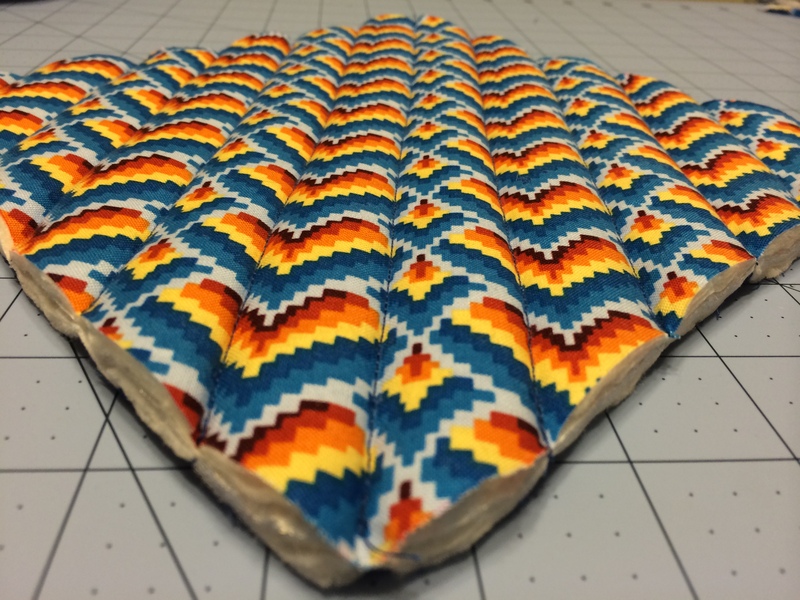 Bring some new life into your kitchen with some fun pot holders made from fabric scraps! 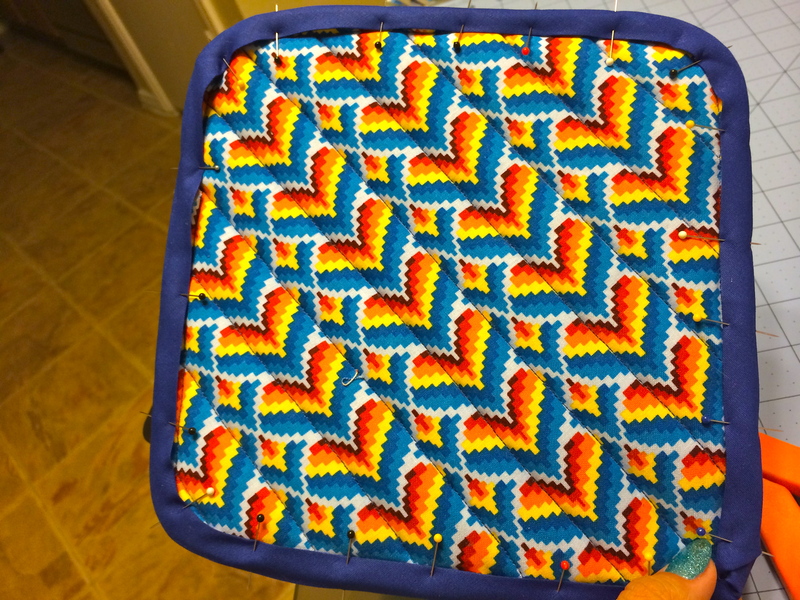 Today I will show you how to make a pot holder and reusable pattern. 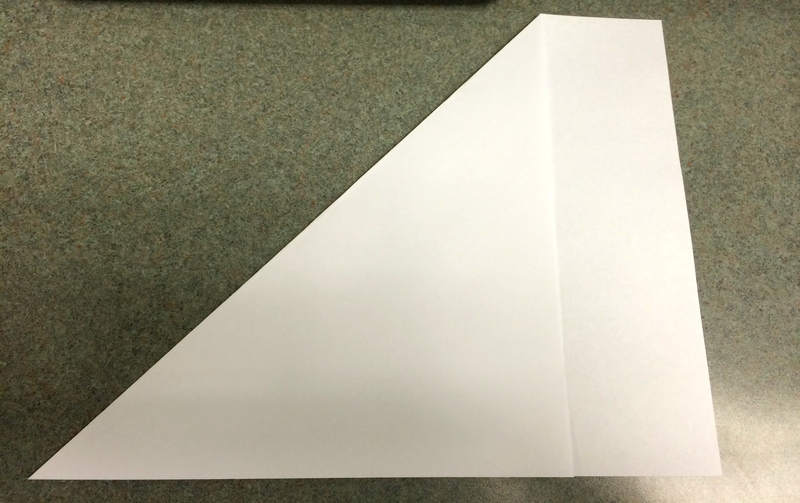 Fold paper diagonally from top left corner to the bottom edge and create a sharp crease. 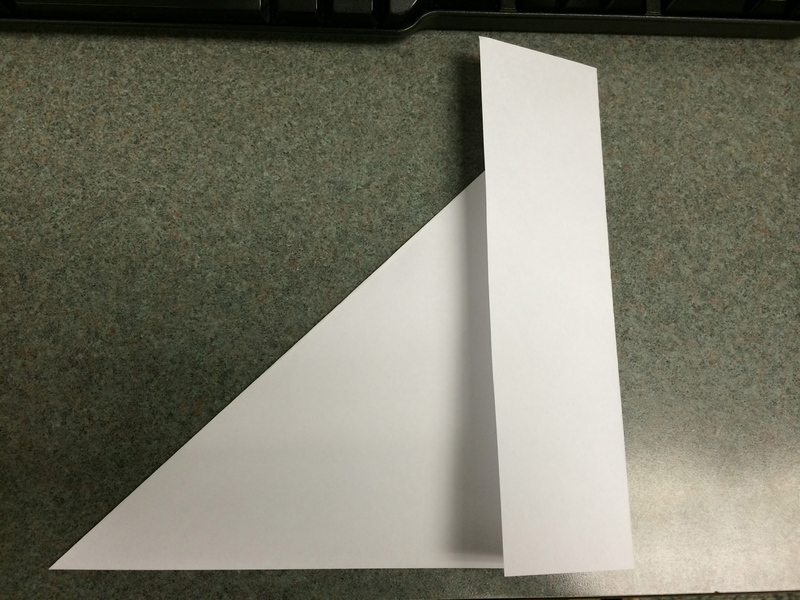 Take the remaining unfolded side and fold vertically onto previous fold. 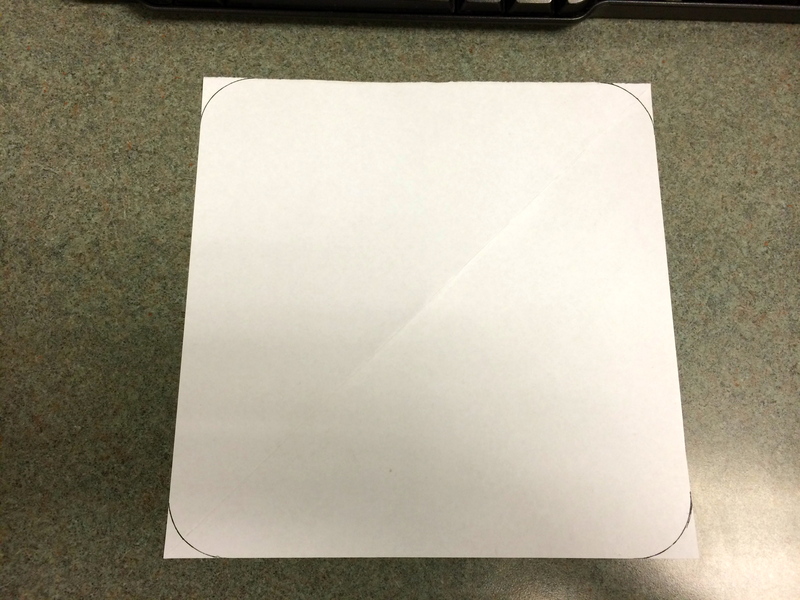 WIth scissors, cut along vertical fold to remove excess paper. Lay flat. 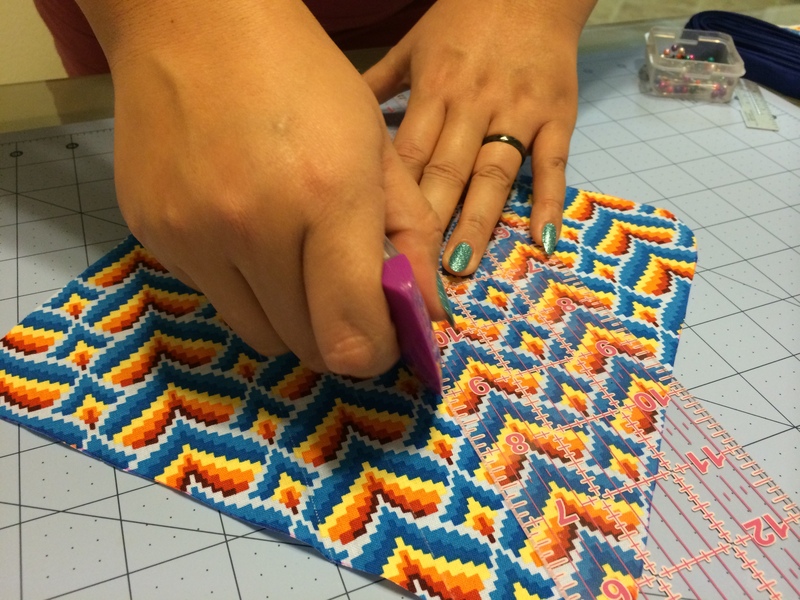 Using something small with a round base, trace a crescent shape at each corner. Trim the corners and you’re ready to go! 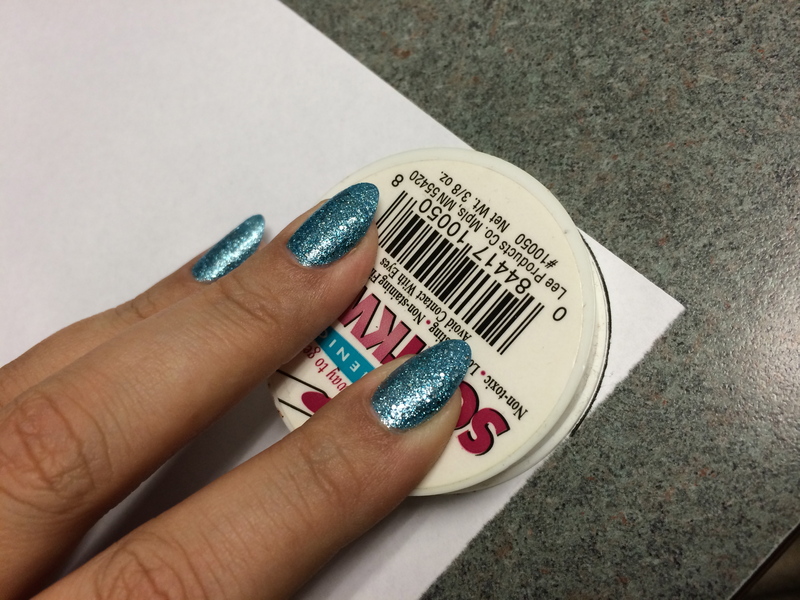 Using a ruler and marking device, trace lines one inch apart. Stack in the following order: Back Fabric, 2 Layers Batting, Insul-Bright, 2 Layers Batting, Top Fabric. 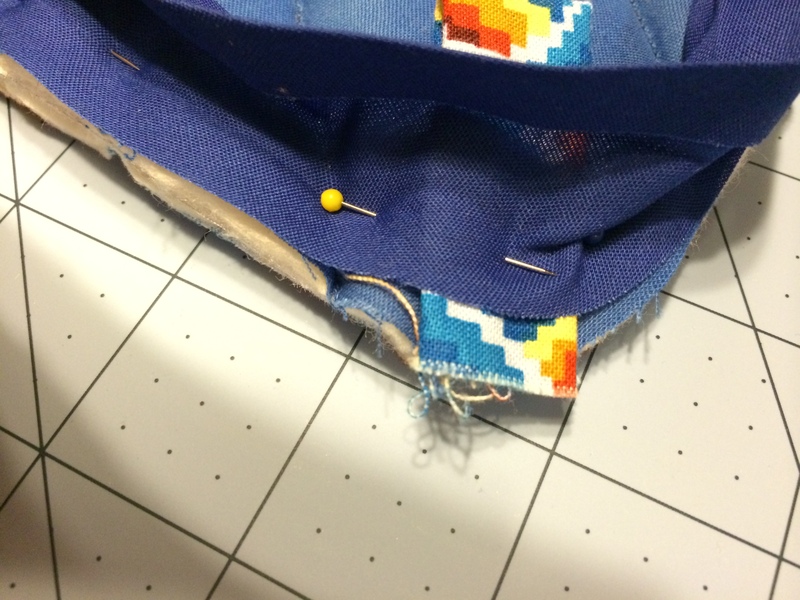 Pin all layers together. Don’t poke yourself! I did. 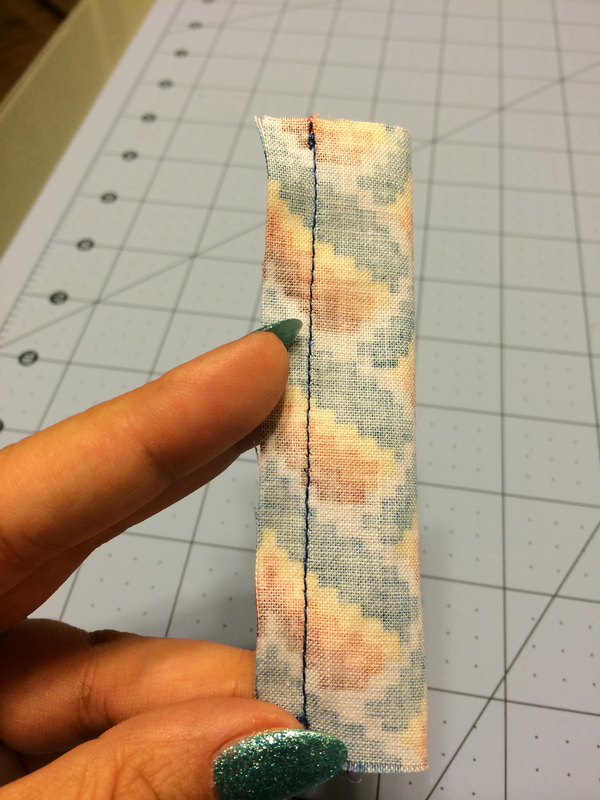 For the loop, cut a 5×2 inch rectangle and sew right sides together. 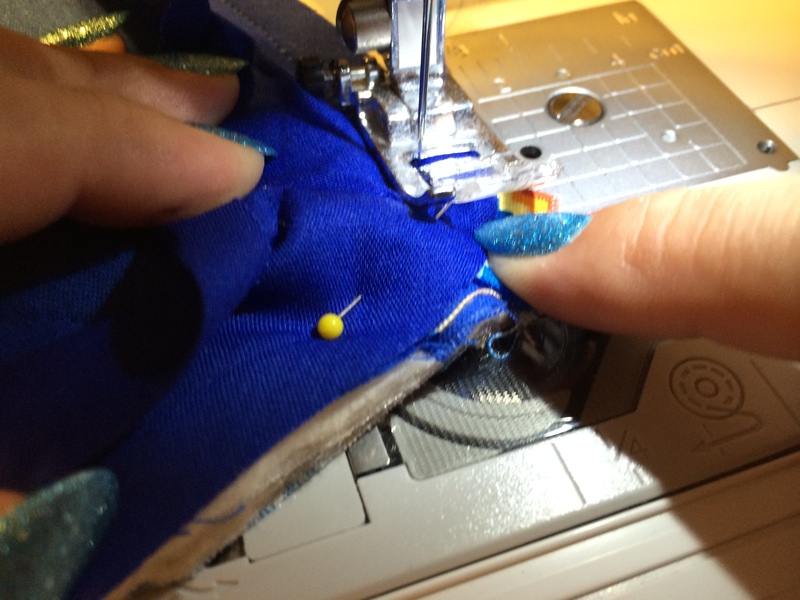 Use a pencil to turn it right side out and iron flat. Pin bias tape around the back of the pot holder using an additional pin to secure the loop. Flip bias tape over and pin. Almost finished! Woot! 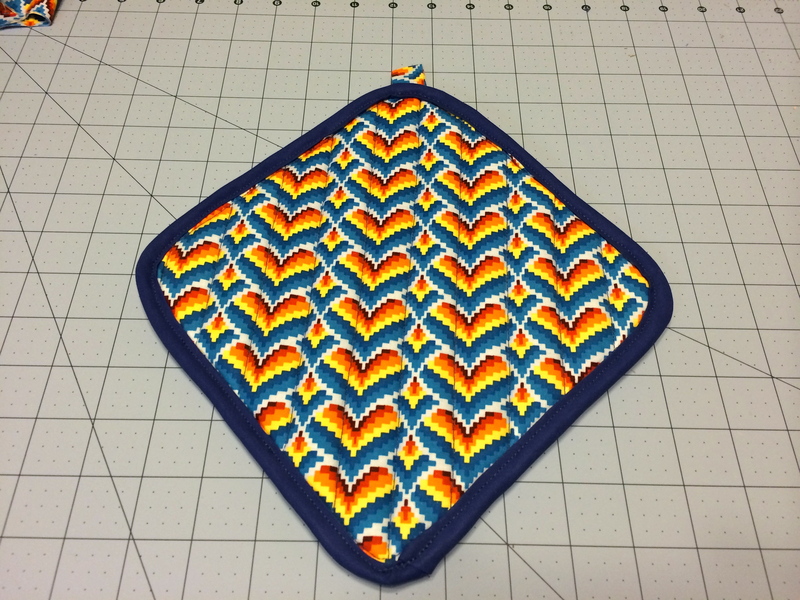 A new pot holder that was complete in no time at all. 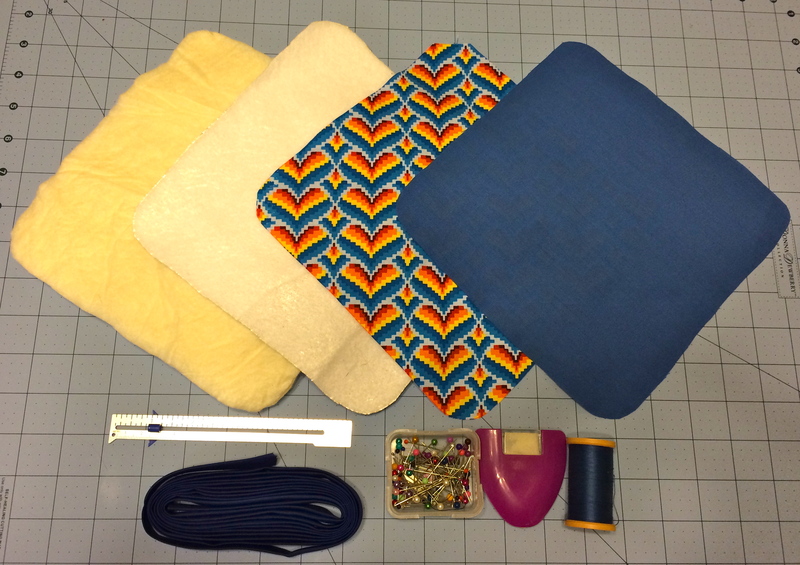 I wonder what I can make next with scrap fabric! Until next time, happy stitching! That’s a great idea for using scrap fabric! It turned out perfectly. 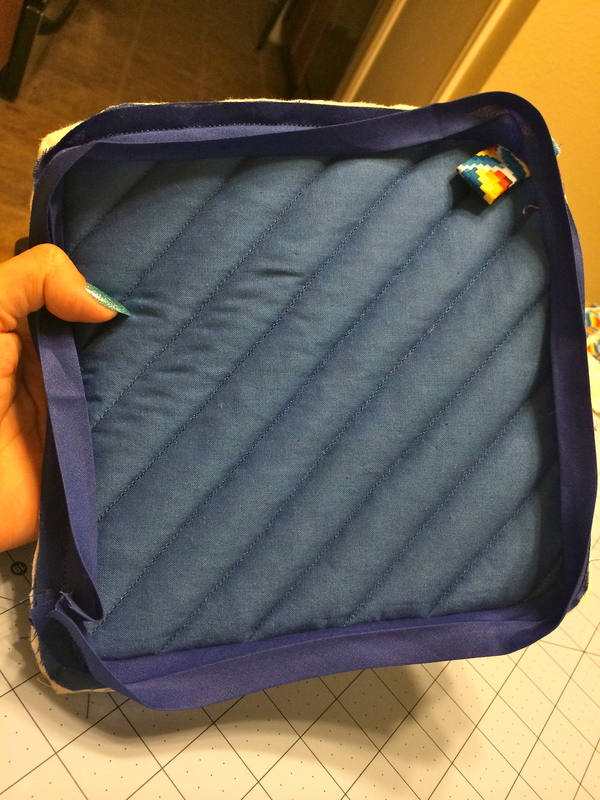 I was wondering what pot holders had inside – insulation definitely makes sense hahaha. What about decorative pillows? Place mats? Neck ties? Pin cushions? Towel trims? Cozies/sleeves for drinks? Bookmarks? Post-It holder? Eye masks? I love how great your nails always look! !